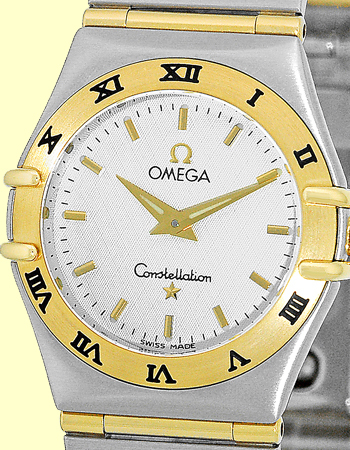 Lady's Stainless Steel & 18K Yellow Gold Omega "Constellation". 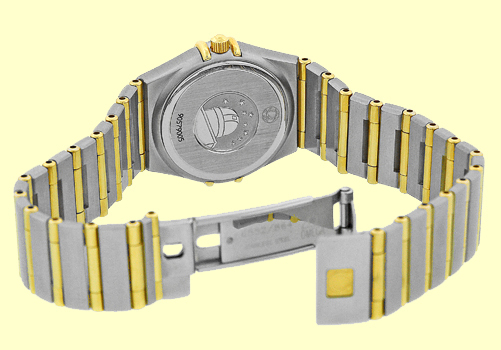 Silver Guilloche Dial with Gold Baton Hour Markers, Matching 18K Yellow Gold Bezel with Black Roman Numerals, and Sapphire Crystal. 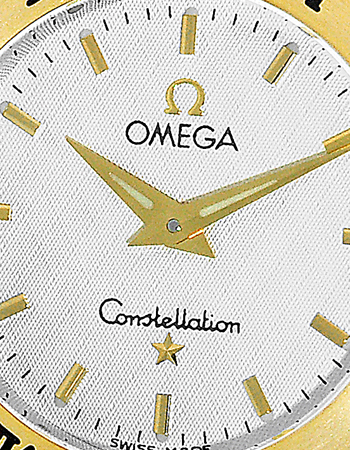 Matching Stainless Steel &18K Yellow Gold Omega Constellation Bracelet. 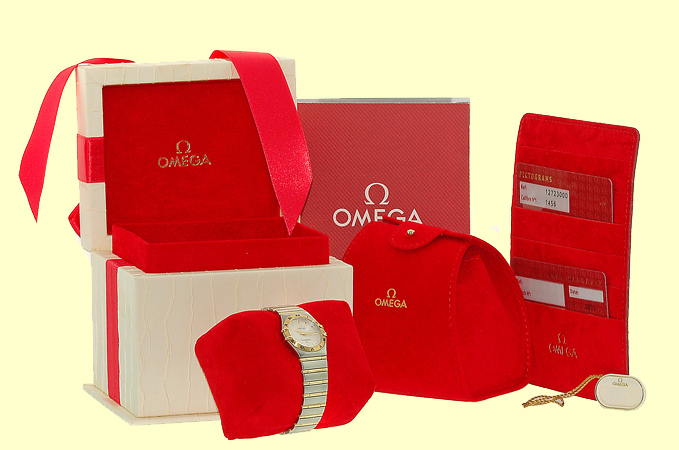 Brand New, Showroom Fresh, with Omega Box, Booklets, Warranty Cards, Hang Tag, and complete with Capetown's Lifetime Warranty! !